Not so long ago all human houses were ‘green’. People didn’t know any other construction materials. They used clay bricks, wood, mud, stones and other natural resources. The Industrial Revolution has changed the ways people build their homes. Cheap construction materials and steel are widely used across the globe to build houses. Today, many people started paying close attention to the quality of their homes. 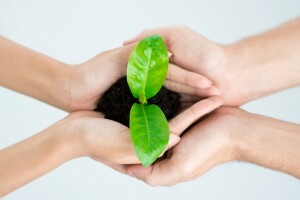 More and more homeowners are interested in environmental friendly materials and solutions. Green homes are now becoming more sustainable, efficient and self reliant. You don’t need to spend a fortune on the green house, there are a lot of affordable eco-friendly solutions for your house. Check out the following green ideas for your house. 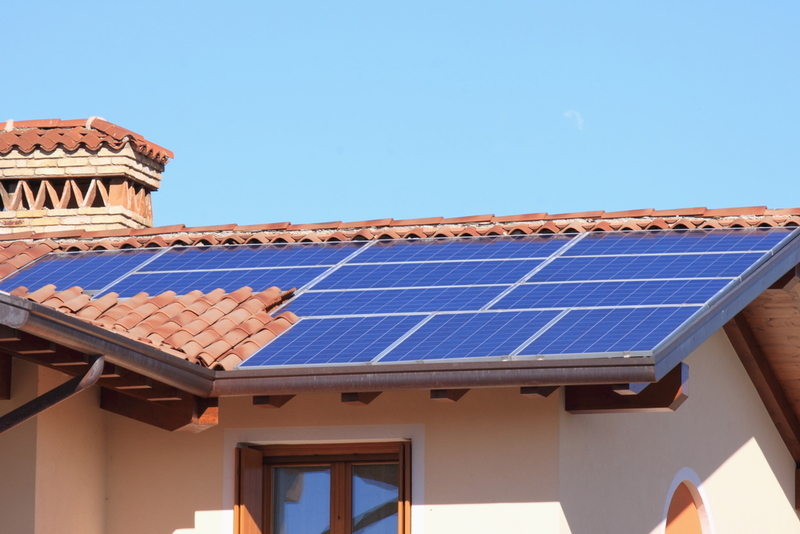 Solar technology has evolved over the decades. It became affordable and practical. North Africa, Australia, Israel and other sunny places can fully enjoy the benefits of solar energy. Solar panels can be installed on rooftops, roads, advertising banners to create enough energy for a household. Many people fear that solar panels don’t create any energy during cloudy days, while in reality they can generate and store enough energy for several days. Japanese scientists have already invented spherical micro solar technology. No need to place these solar panels directly at the sun, they can absorb solar rays from any possible angle. We’re not encouraging you to install an on-site water treatment facility that will transform any waste water into drinking water. You can simply reuse non-drinkable water for other purposes. You can collect rainwater and use it for watering your plants and trees. Some smart showers allow you to collect so called ‘grey water’ and reuse it for flushing toilets or doing your laundry. This technology can be extremely effective for areas with scarce water resources and high levels of drought. I bet many of you have seen pictures of recycled homes in Africa. People learned how to reuse and repurpose old plastic bottles and other materials to build houses. Clearly you cannot live in such a house somewhere in Europe or North America; it simply won’t survive the winter. However, it doesn’t mean you cannot use recycled materials when building your house – says an expert from Common Ground, a company that recently developed a way to create building blocks of 100% reused materials. Their innovators have developed a unique technology by utilizing the aluminum sheets and mushroom roots to create incredibly durable and strong building blocks. These Mycoform blocks will serve you for up to 30 years. Another simple way to use recycled material is to purchase recycled bricks either for building or for decoration purposes. These modern inventions are not the only green technology available for your house. You can also install green floors or traditional wooden floors to become closer to the nature. Green house technologies are not only about solar or other alternative energy sources. If you wish to build a green house you need to buy green appliances that use less water and consume less electricity. Smart household appliances will produce less waste and help you save money on the next utility bill. Next story Serial Surrogacy – What’s Your Take On It?